The Techni Mobili Kids Racing Chair features an eye catching racer style design that will spruce up any environment. With the cool resemblance of a sport's car interior, let your child's imagination "race" as your kid reclines and swivel in superb comfort for gaming or homework. 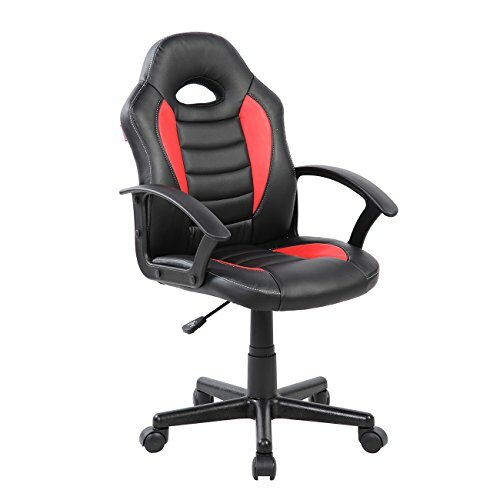 This ultimate computer gaming chair is made with synthetic Techniflex upholstery and features a pneumatic height adjustable seat, and a durable matching 5-star nylon base with matching dual non-marking 2" casters. Max weight capacity: 130 lbs. Color: Red.